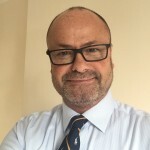 Paul brings over 25 years International Sales and Business Development experience to OmniPayments and he has been active in the Payments Industry for more than 10 years. Paul has extensive payment solutions consultancy experience around Switching technologies, including BASE24 and Back Office solutions, having sold and overseen the implementations of several major payment projects internationally. He is also seen as a visionary in this space, able to identify payment solutions that meet the strategic needs of businesses today.